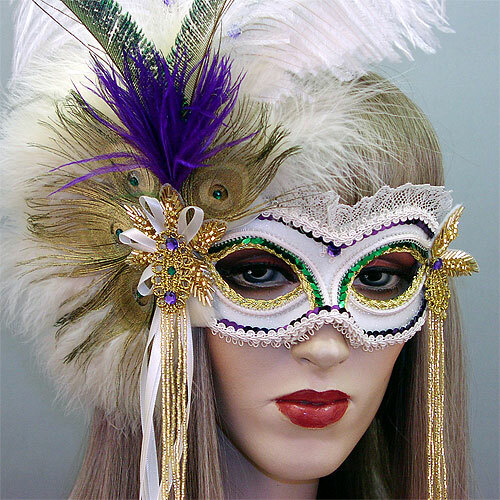 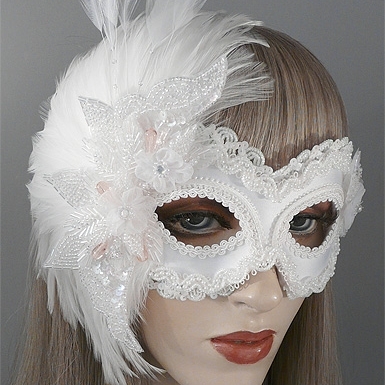 Wedding Masks collection by Gypsy Renaissance features handmade bride and groom masks for elegant masquerade weddings. 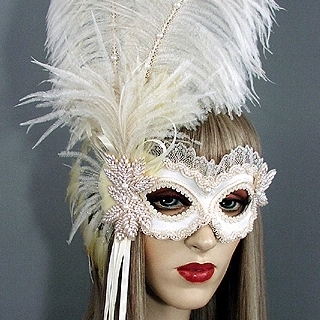 Make your special day unforgettable! 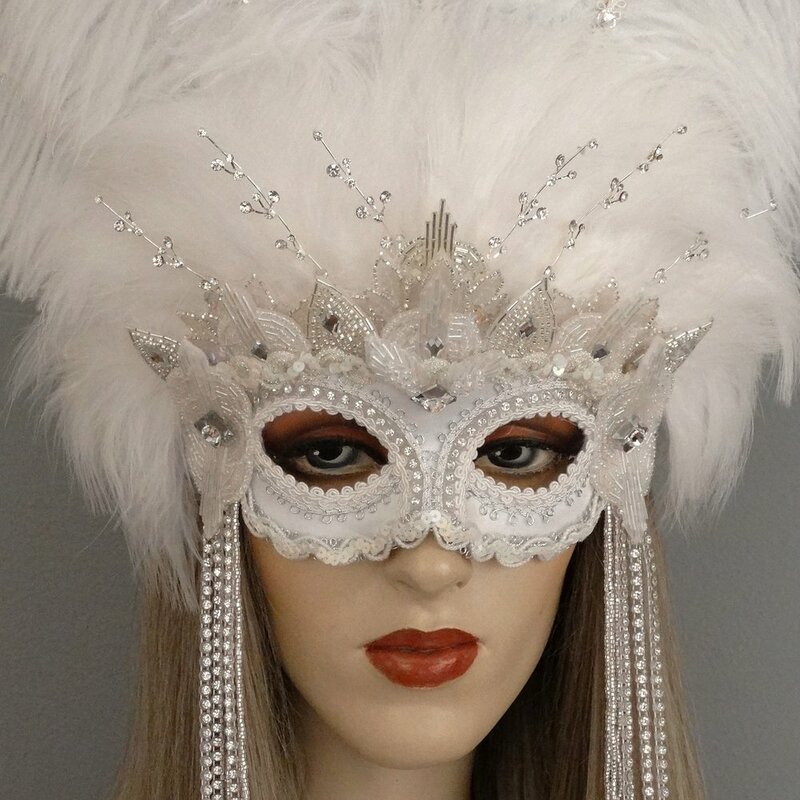 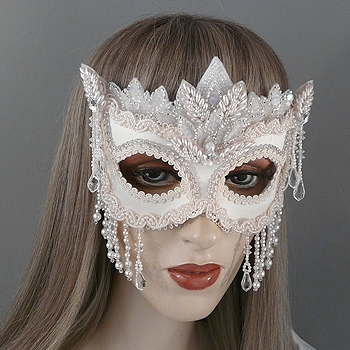 Bridal masks available in white, ivory, or custom color palette. 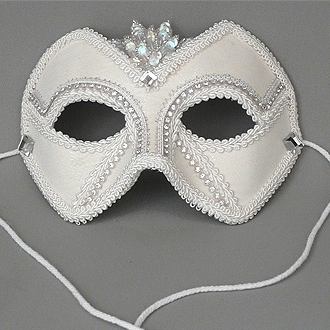 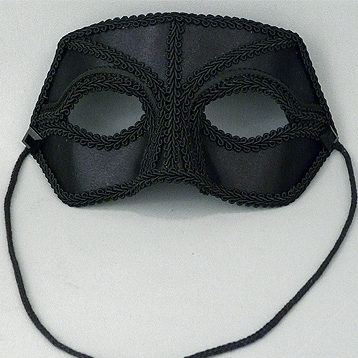 Bridesmaids masks can be created to match the dress colors.